Memorial Day being just past, it made me think of how this long weekend used to pass in my childhood years. Often we had family visitors or we went to visit family. Both of my parents grew up in Peoria, IL and so that town was a frequent destination. Since we moved so often in my growing years, I had a collection of friends from previous addresses that I attempted to stay in touch with after moving away. Staying in touch in those days gave me the option to write a letter or, well that was it. I wrote. The other option, long distance phone calls, was not even something that I would ask to do. Long distance calls were not as expensive as they had been, but they were reserved for family communication. 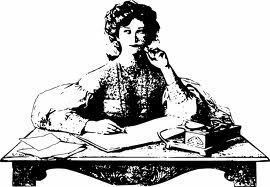 Perhaps those early letter writing opportunities fed my writing urge, I know I seemed to be more dedicated to the practice than most of my correspondents. None of those early friendships were able to bear the test of distance. Although, thanks to Facebook, I did get in touch with a few of those people in recent years just to say hi. Entering adulthood made staying in touch change. Now keeping up with extended family goings-on was my responsibility. I still remember the first time that I visited my aunt and uncle’s house without my parents, and through my own plans. The long distance bills were mine and I used plenty of those minutes talking with my mom. I had friends and family scattered all over, and I moved about the country myself with my own growing family. Staying in touch has changed so much – visits and phone calls are still a core method. I am recently back from a trip to visit my brother and his family a couple of states away, and last night I finally called a friend who texted me too long ago. We have texting and email and Skye and Facebook and still the old fashioned snail mail letter or card. And somehow we seem less able to stay in touch. I have been spending this week reaching out in various ways. How do you stay in touch?